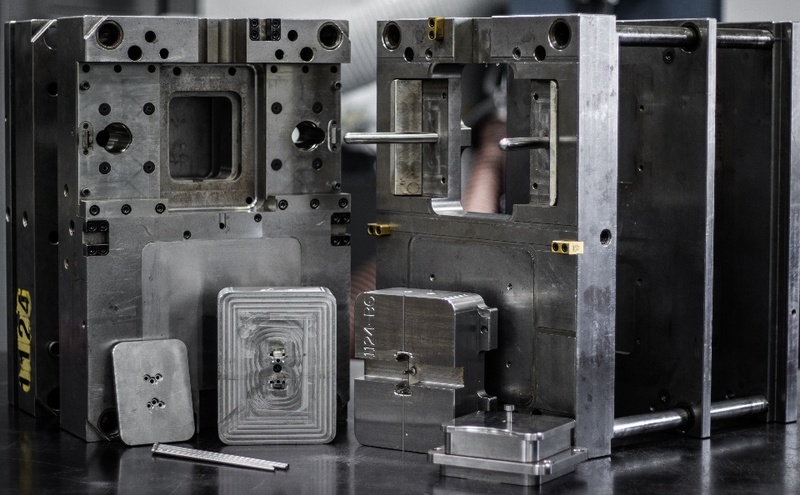 What are the benefits of modular tooling? Building a prototype mold insert requires significantly less time and less steel in comparison to building an entire mold. This means we can make our customers a steel mold faster and at a fraction of the cost without having to sacrifice quality as you would with an aluminum mold. The fact that our molds are made from steel means they also have the ability to run low volume production. This can bridge the gap between prototype tooling and production tooling or service lower annual volumes. Our low volume production offering can save customers the expense of purchasing production tooling for small annual usages. It was determined early on that there was need for side actions in the majority of the plastic prototypes we were producing. While machining features normally formed by a side action is a common technique in the prototype industry, we believe there is value to molding that feature into the plastic part the same way it would be in production. We built modular slides into the MTS that allows for over 1.5 inches of side action. No matter if your part has a small hole in the side or an o-ring groove around the entire outside diameter of the part, the ERC can mold it in our modular tooling system. Our engineers also noticed the various gating methods needed in a production setting and how those should be replicated in the prototype. With this in mind, the modular tooling system was designed to allow for all possible gating methods. Whether the part requires to be gated through a slide, subgated to run unattended or vertically gated with a 3-plate or hot tip, the ERC can accommodate all gating methods. Reach out to our engineers to see how the modular tooling system can be beneficial to your next prototyping effort.